Calling all #FierceInnovators! Develop your leadership and innovation skills in one of the fastest growing cities in the USA: Raleigh, North Carolina. Join females aged 18-35 from around the world for this 2 or 4 week program that explores women as leaders and innovators. Students learn about the key theories, current trends, and the most effective techniques for creating and implementing your vision. 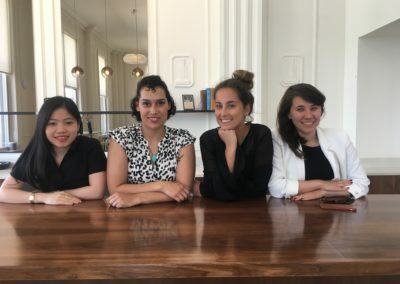 Our partnership with HQ Raleigh and e51 makes this program an unique opportunity to access to women entrepreneurs, innovators, and leaders in the Raleigh/Durham community. Due to housing restrictions, this program is only open to female students. 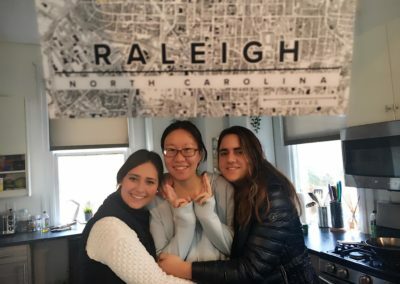 Did you know: Raleigh/Durham is ranked as a top US city for women entrepreneurs! 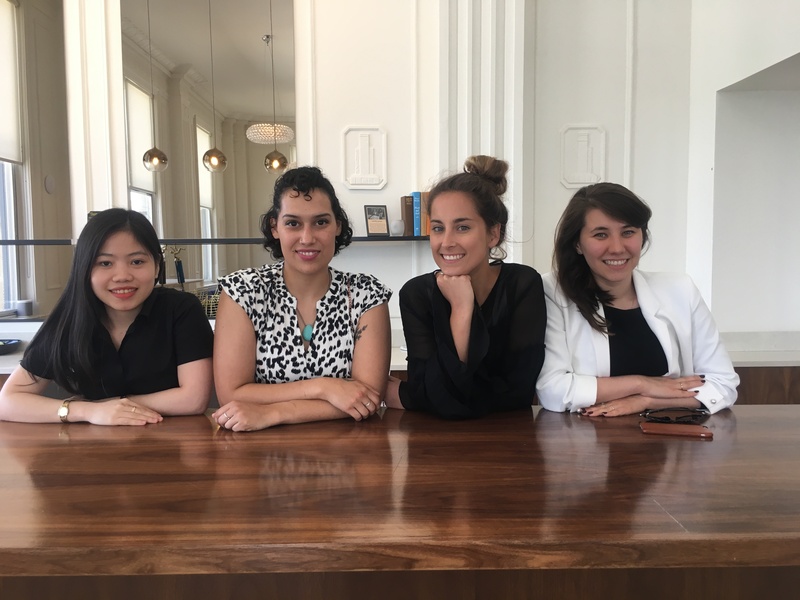 Home to a thriving ecosystem of female innovators, Raleigh/Durham boasts Forbes 30 Under 30 winner Tatiana Birgisson Founder of Mati Tea (she’s a Leadership exCHANGE alumna! ), iFundWomen, e51, SOAR, and Pinkcubator. 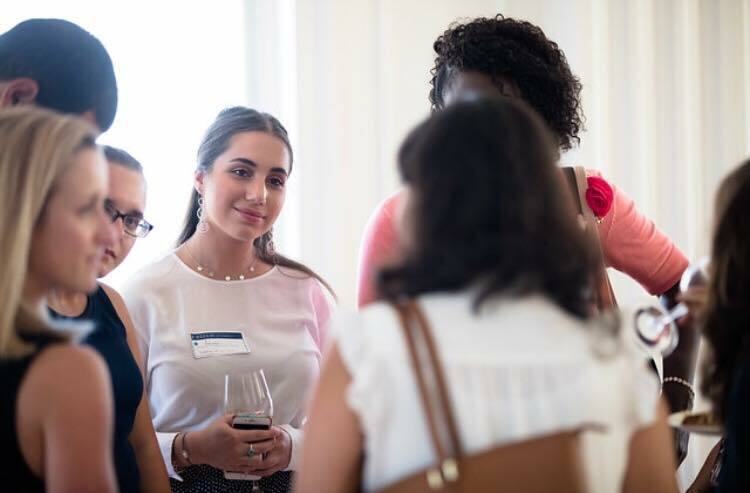 Housed at HQ Raleigh, the US South’s largest center for innovators, the program provides you access to women innovators from numerous industries and backgrounds. 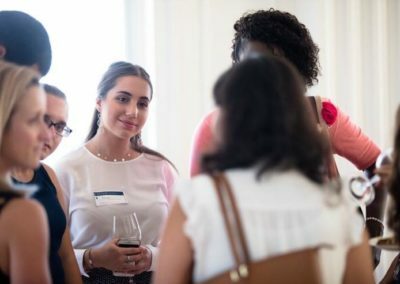 Why does women’s leadership matter? Do women have an identifiably different way of leading? What structural/institutional/cultural obstacles do women face? How are how issues relating to women and leadership similar and/or different across cultures? How are innovation and creativity tools for women and leadership? What are the best practices and resources for women innovators? This class is for people who want to create any project (nonprofit, social enterprise and for-profit business welcome) or become more innovative thinkers inside of an existing company. Based on your findings from the design sprint, we will create internship deliverables that give you the chance to implement some of these ideas for this organization. Polish your presentation skills with weekly updates to this company’s leadership team and see what it is like to create valued based deliverables. Did you know: Some of our students have been offered jobs when they graduate! For-profit, nonprofit and social enterprises internships available. ​All courses are upper-division, are taught in English and are fully accredited. Transcripts are issued by the University of Delaware. During the 4-week program you earn 6 US credits which can be transferred upon approval from your home university. 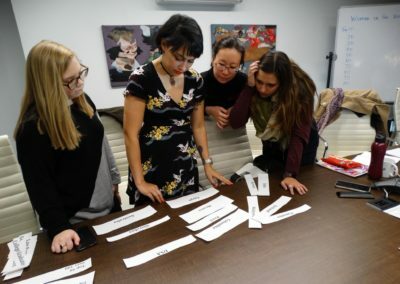 Week one and two: Spend the first two weeks diving into the concepts of women and leadership as well as an intensive design process to help a social enterprise solve a problem. What are the best practices for leading as an innovator or for developing your intrapreneurial skills? You will learn the steps of design mapping, how to conduct expert interviews, learn a variety of tools for the ideation process and deliver a final prototype. Weeks three and four: During the third and fourth weeks you apply the new knowledge and skills to your internship with a startup or social enterprise. Throughout the program you participate in cultural activities and innovation events. Many of our courses in each program qualify for the Sullivan Social Entrepreneurship Certificate. Learn how to complete the certificate! Tuition includes course credits, housing, field trips and cultural activities. Travel to Raleigh and meals are not included. A non-refundable deposit is required to secure a spot in program. Two-week program: $2,450 USD. Includes 3 US credits. Four-week program. $4,950 USD (6 credits). Includes 6 US credits. Housing. 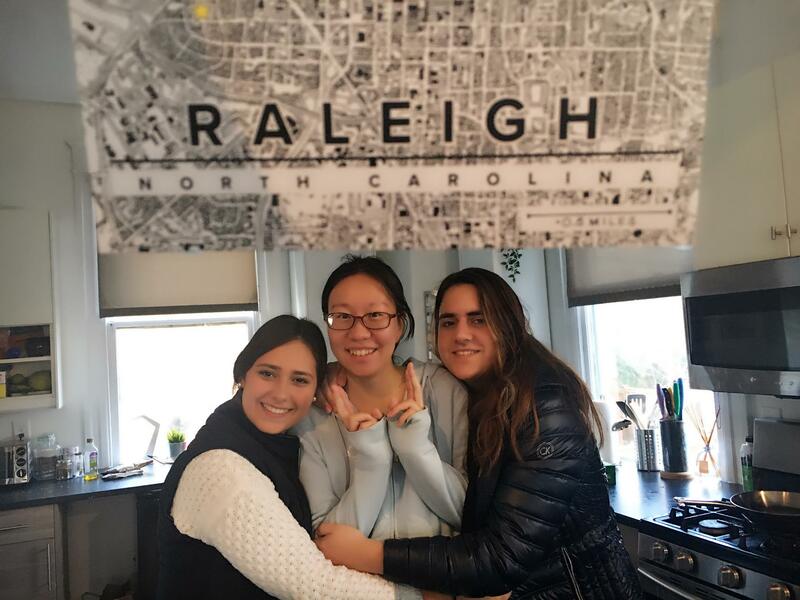 Depending on the time of year, you may live at the ThinkHouse, a co-living space in Raleigh where new entrepreneurs launch scalable companies, or in a beautiful historic home on the same street. Rooms are double or triple occupancy. Meals. Cook in your kitchen or eat out at the many restaurants that local foodies love. For lunch, you have access to HQ’s Raleigh’s full kitchen. Explore the city by bus, bike and your feet! Eligibility & Who should apply? Students who want to develop their leadership, cross-cultural, and innovation skills/knowledge. The program is open to all majors and to students from around the world. Typically participants in the program are university students ages 18-26. However, the program is also open to recent graduates, graduate students, and working professionals. Applications are ROLLING ADMISSION. In preparation for our 20th Annual Program we are getting an early start on the admission process. We strongly encourage people to apply early! Short on time and want to get the process started before you do the full application? Submit your Interest Form first. We understand that study abroad is an important investment in your intellectual and personal growth. Sometimes you need a little help, that’s why we offer a limited number of scholarships. Not full scholarships; but partial scholarships. Scholarships are primarily reserved for students from Eastern Europe and developing countries, but it never hurts to ask (it’s in the application). Check with your school, too. Your study abroad, student activities, honors and/or financial aid office may have resources. Many of our students receive assistance from their universities or community. We will even give you a letter to help you out! 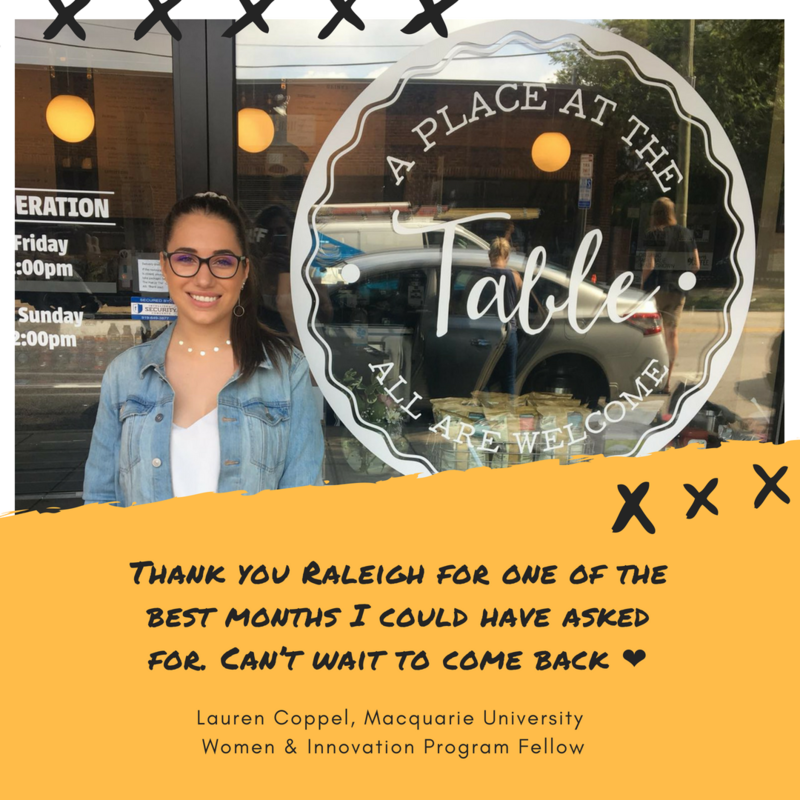 The July 2018 cohort had the pleasure of working with A Place At the Table, a pay-as-you-can restaurant providing community and healthy food for all regardless of means. Started by Maggie Kane, the restaurant transforms the soup kitchen model and creates a community oriented space for all members of the community to be part of something bigger than just themselves. Maggie has a heart to serve, a desire to always be inclusive, and a passion for loving people. 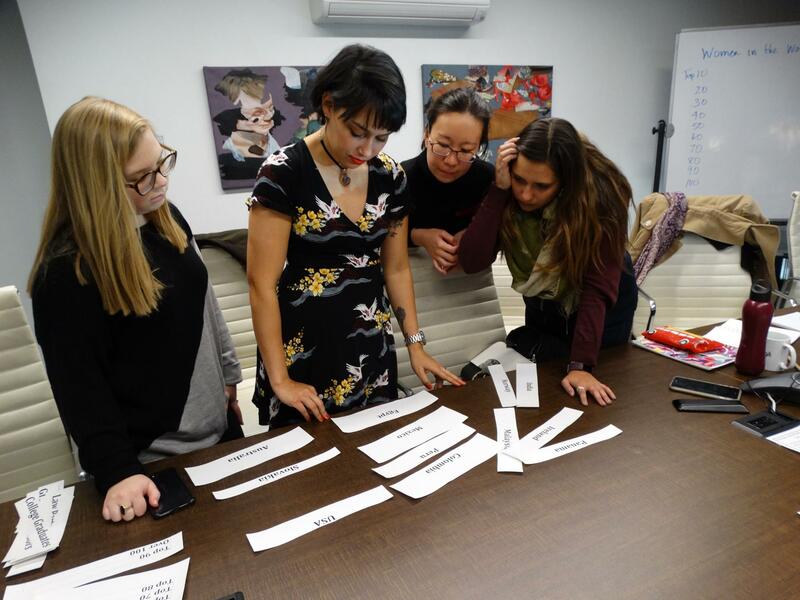 The July participants analyzed APATT’s marketing/social media strategy and helped create new platforms for business growth, including a new carryout order structure/process. The experience was a unique way for the participants to apply their course knowledge to a real-life issue. Can I attend additional programs?